Our Legacy Leader program at Creative Action brings together old and young generations to incredible results. Legacy Leaders are adult volunteers aged 55 and up who help assist our Out of School Time programs by working with students to create an intergenerational art project that incorporates their life memories. We’ve seen Legacy Leaders bring sculpture, puppetry, and collage to their classrooms to teach life lessons to engaged young people. At Sunset Valley, Legacy Leader Debbie Doggett facilitated a special springtime project: a sensory garden full of herbs, and at least one weed. 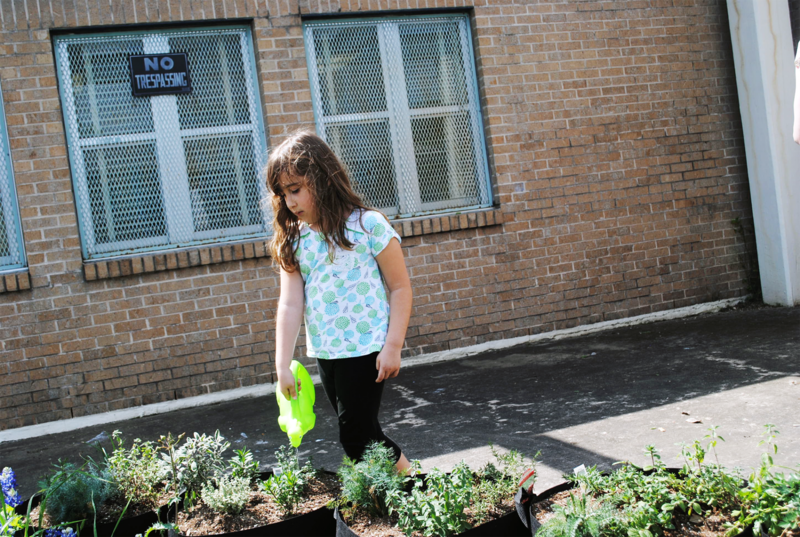 The Creative After School program at Sunset Valley Elementary had long envisioned a peace garden somewhere on campus. When the idea of a “scent” garden came up, Ms. Debbie knew the space would have to incorporate herbs. That idea won big with the students. 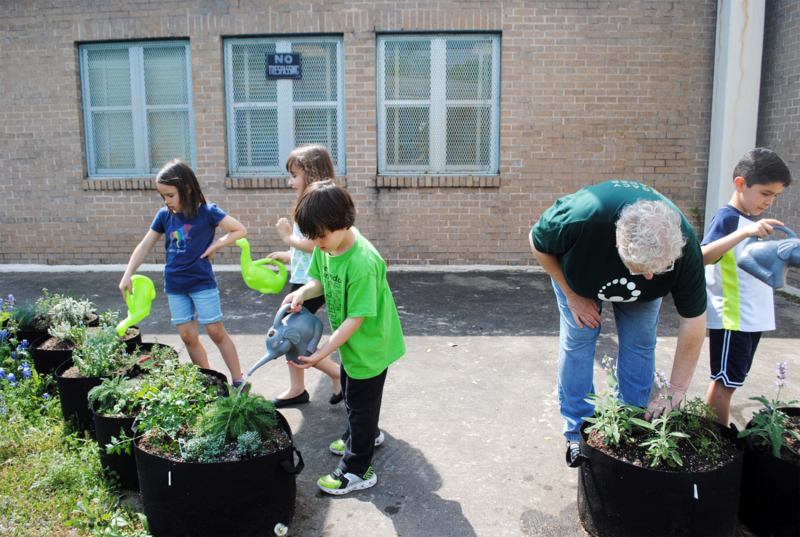 One student was adamant that he didn’t want to plant herbs; he wanted to plant a weed. That was no problem for Ms. Debbie who brought in yarrow, a common garden bed weed, especially for him. Students came to the project with different backgrounds in gardening. 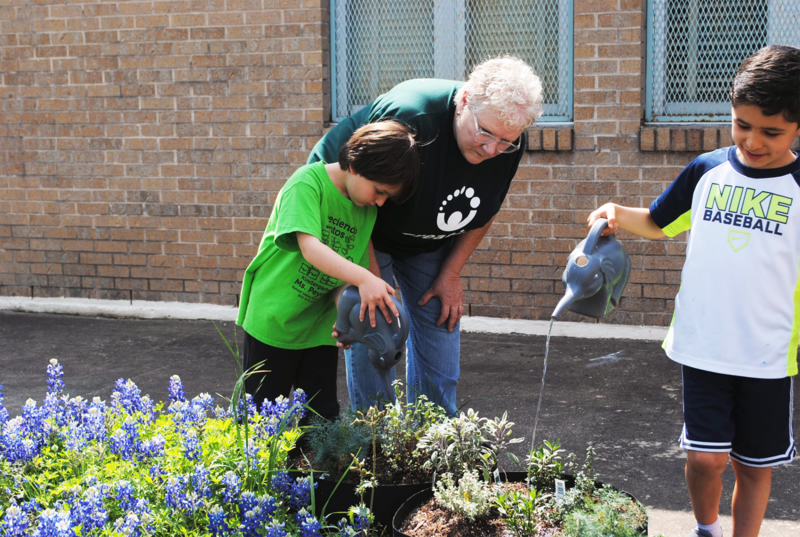 Some were members of the school’s gardening club while others had planted before with their grandmothers. Many were new to the process. “We worked with the little ones and the big ones and they loved it. I find that they really like to do things with adults,” says Ms. Debbie who joined Legacy Leaders because she missed interacting with kids when she worked as a pediatric nurse. 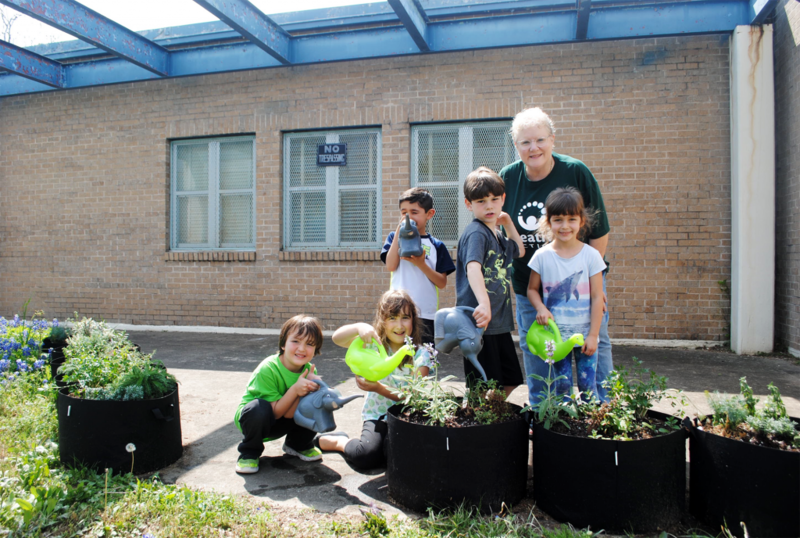 Ms. Debbie hopes that the garden will be a source of good memories for the students and that they’ll be able to tell their parents which herb they planted by name. Now that the herbs are blooming, students have the responsibility of watering them, at least weekly. Sunset Valley students aren’t sure what they’ll do with the herbs once they’ve been harvested; for now they’re just enjoying the scents. Learn more about our Legacy Leaders program here.